Radiation induced brain damage is associated with impairment of mitochondrial functions, variations in the level of neurotransmitters, and oxidative stress. Mitochondrial function is closely linked to the level of neurotransmitters since the precursors are supplied by the Kreb’s cycle intermediates. The objective of this study was to evaluate the influence of pantothenic acid, an essential component in the synthesis of Coenzyme A (CoA), on the activity of the Krebs cycle enzymes, isocitrate dehydrogenase (IDH), α-ketoglutarate dehydrogenase (α-KGDH), and succinate dehydrogenase (SDH); the level of aspartic, glutamic and GABA; the activity of transaminases, and oxidative stress, in the cerebrum of γ-irradiated rats. Pantothenic acid (26 mg/Kg) was orally administered to the rats, 2 h after irradiation and during the following 5 days. Animals were sacrificed the 7th day post-irradiation. 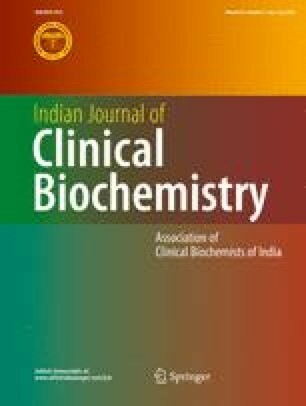 The exposure of male albino rats to γ-rays (5 Gy) has triggered oxidative stress notified by a significant elevation in the level of malondialdehyde (MDA), an end product of lipid peroxidation, associated to a significant decrease in the content of phospholipids, and the antioxidant compound glutathione (GSH). The activity of IDH, α-KGDH, and SDH, has significantly decreased, while the level of aspartic, glutamic and GABA has significantly increased. In parallel to these changes, the activity of alanine and aspartate transaminase has significantly increased, compared to their values in the control rats. Pantothenic acid treatment, has significantly attenuated oxidative stress; enhanced the activity of IDH, α-KGDH, and SDH; minimized the increase in the level of amino acids and the activity of transaminases, compared to their values in the cerebrum of irradiated rats. In conclusion, pantothenic acid could improve the level of neurotransmitters amino acids, which depends on the enzymatic activities of Krebs cycle and linked to oxidative stress. All the experimental procedures were carried out according to the principles and guidelines of the Ethics Committee of the National Research Centre conformed to “Guide for the care and use of Laboratory Animals” for the use and welfare of experimental animals, published by the US National Institutes of Health (NIH publication No. 85–23, 1996). Scientific Committee on Food. Opinion of the Scientific Committee on Food on the tolerable upper intake level of pantothenic acid. Report of the European Commission: health and consumer protection directorate-general 2002SCF/CS/NUT/UPPLEV/61 Final:1-6. 2011. http://ec.europa.eu/food/fs/sc/scf/out80k_en.pdf.